A special education teacher in Rome, Georgia was unsatisfied with tools for teaching math to elementary students. This teacher wanted something more tactile that would not be treated like a "toy" by his students. Additionally, the longest number line available only went up to 100. 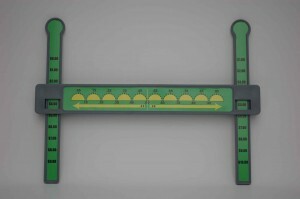 According to the Slide-A-Round website, the creator writes, "Incorporating movable, interchangeable slides, I have created a number line system that can round whole numbers up to 10,000,000. It can round numbers to the nearest 10, 100, 1,000, 10,000, 100,000 and 1,000,000. During this process, I have consulted with math teachers and specialists, administrators, parents, and students from several different schools and school systems. I have also consulted with an occupational therapist, a hearing specialist, and vision-impaired specialist." What Happens When Technological Environments Change? 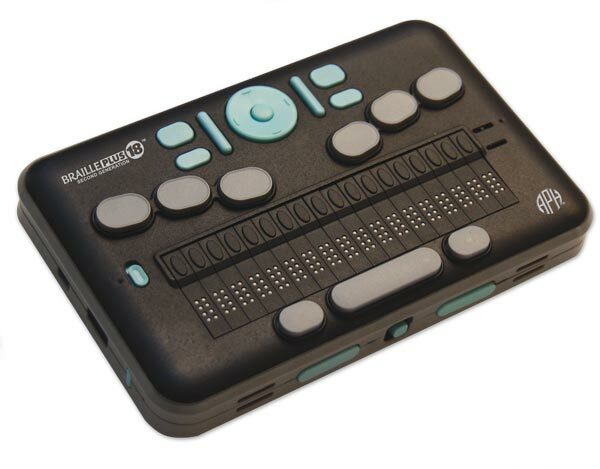 APH is proud to introduce the Braille Plus 18, developed in partnership with LevelStar, LLC. Like its popular predecessor, the original Braille+, the new Braille Plus is a mobile device that puts unprecedented computing power in the hands of students and adults who are braille users. The Braille Plus 18 will quickly become the hub of your on-the-go digital life. Use this handheld device to read books, write class assignments, scan documents, search the web, keep track of appointments, find directions, record lectures, listen to podcasts, run Android apps, and so much more! The November 2012 issue of APH Newsis out! Here you will find information about new products as well as all the goings on at APH, plus much more!